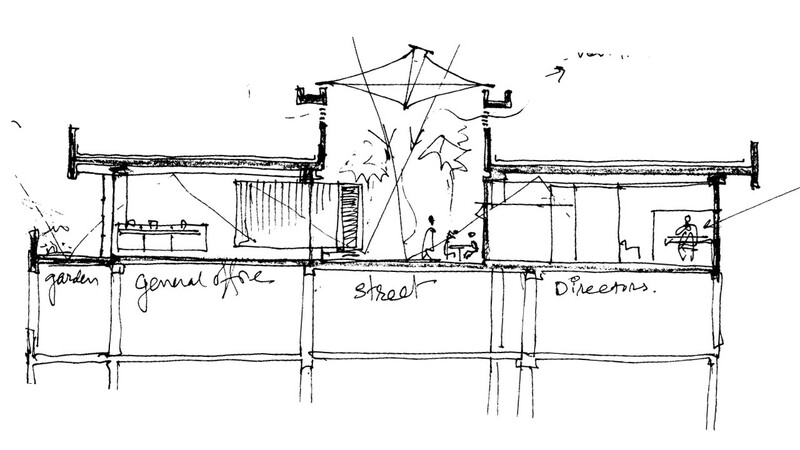 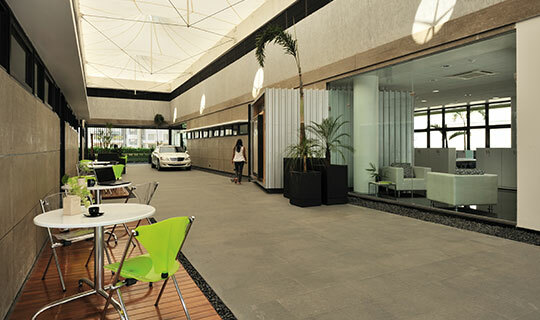 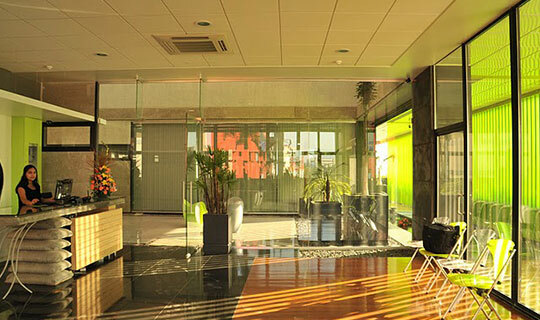 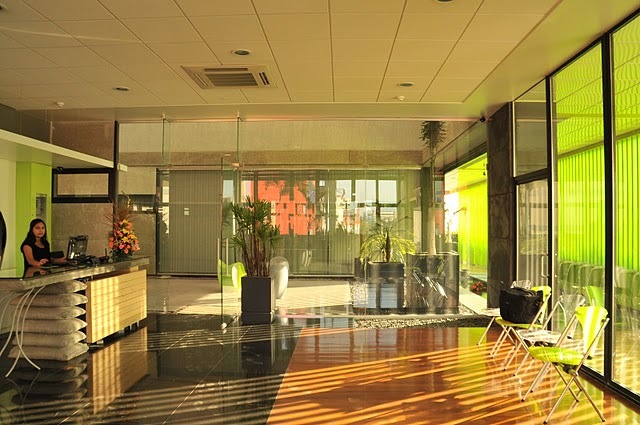 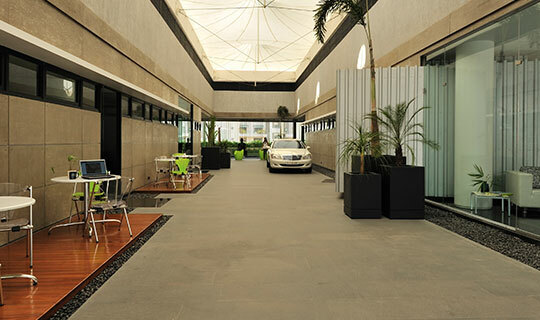 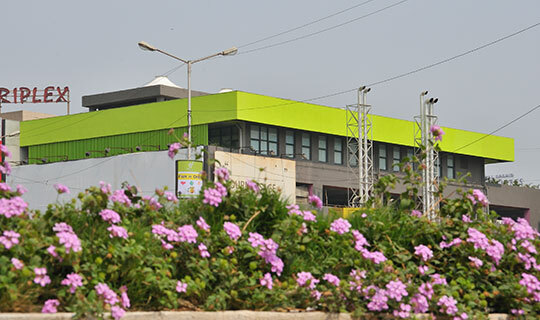 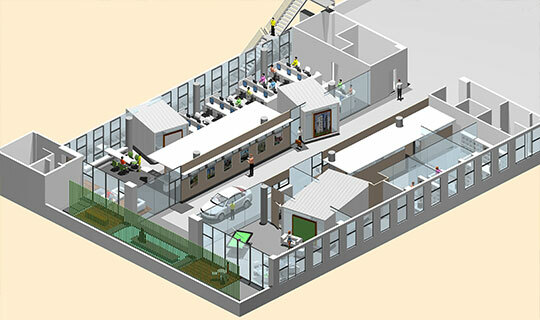 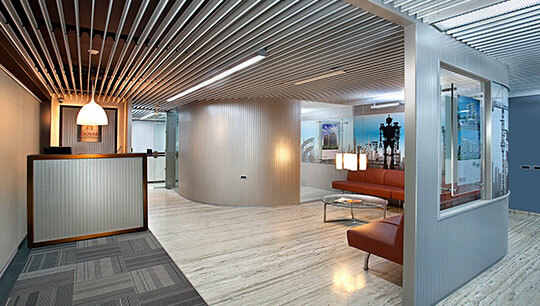 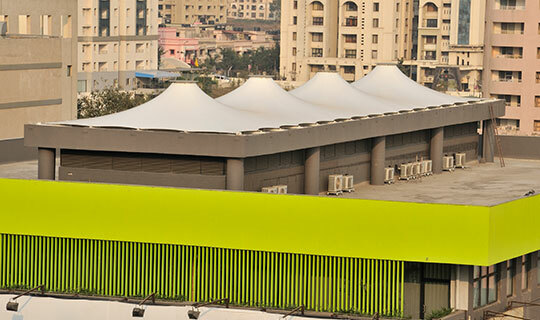 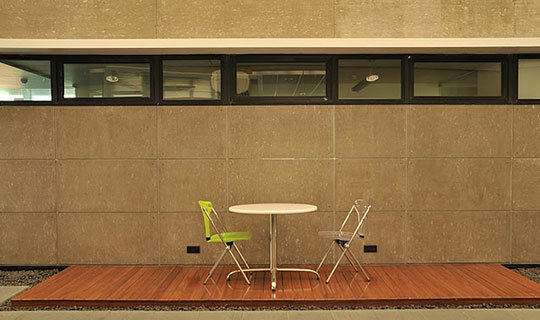 Atrium Street Area : 2332 Sq ft.
Office Carpet Area : 6500 ft.
Landscape Area : 1893 Sq ft. 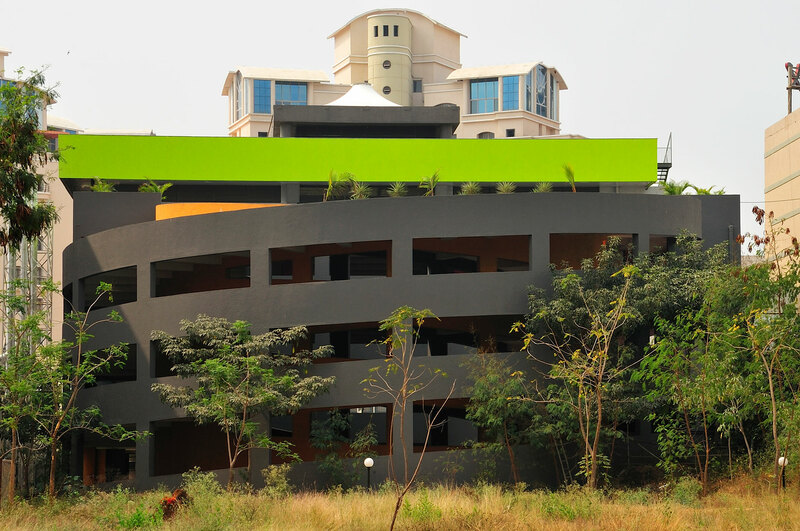 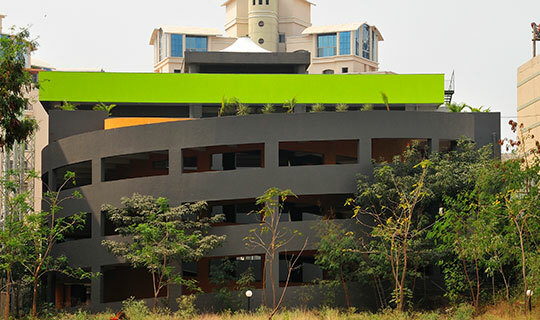 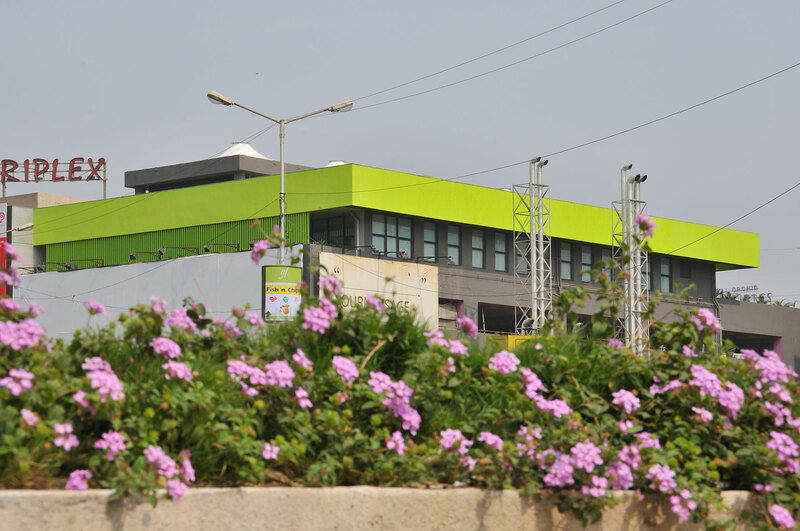 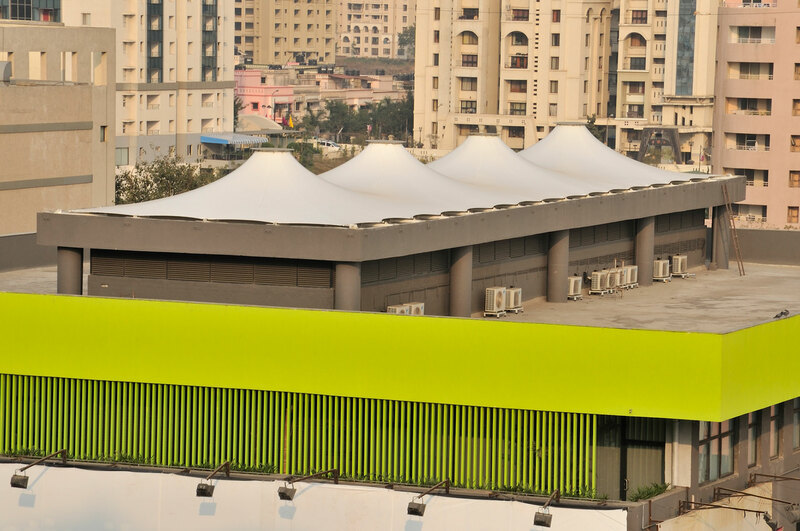 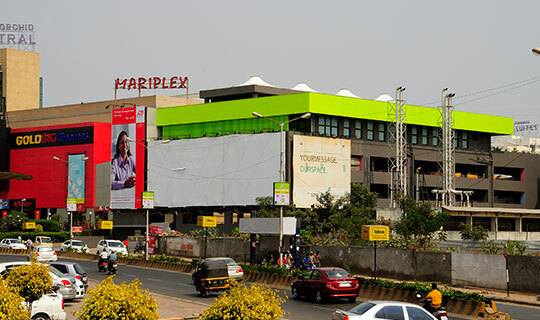 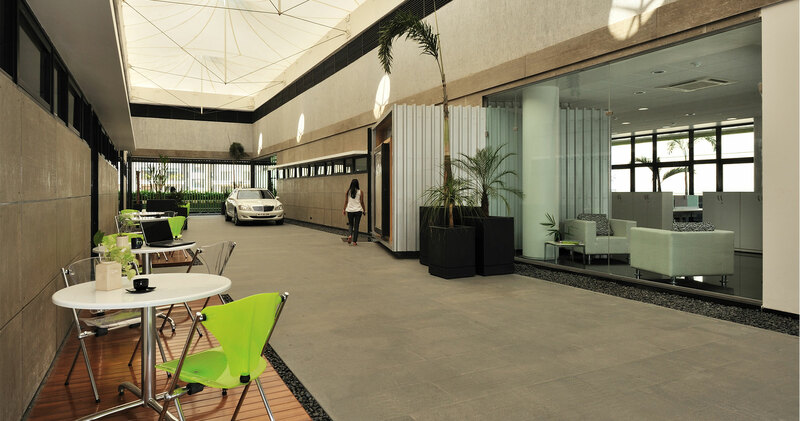 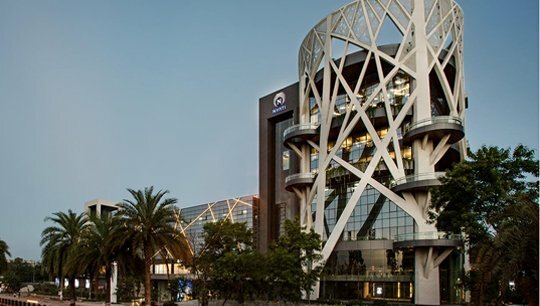 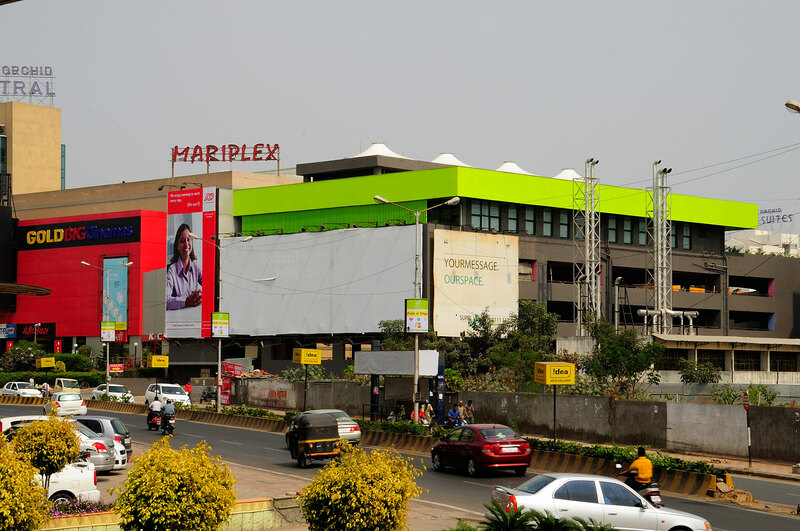 The office is located on a parking lot terrace overlooking a busy, colorful public street, and amidst a multiplex, a mall, hotels & IT companies. 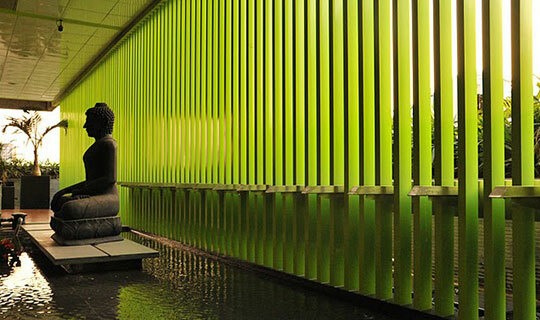 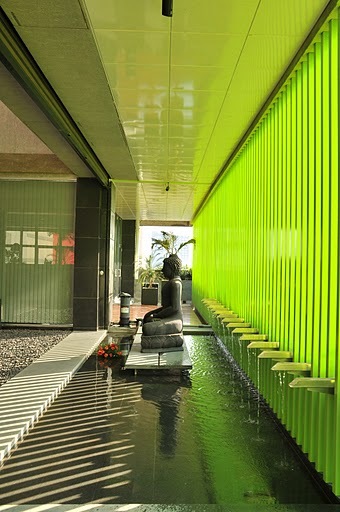 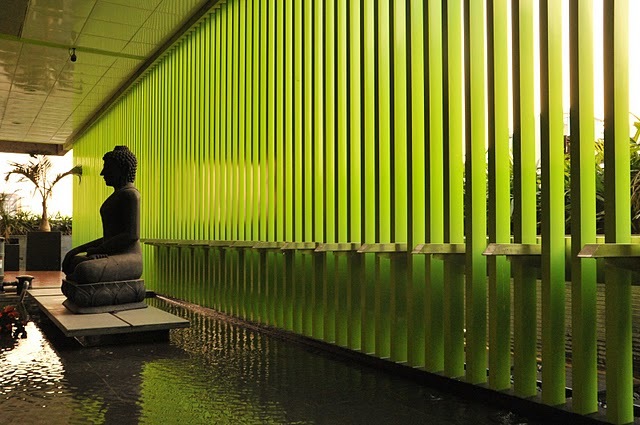 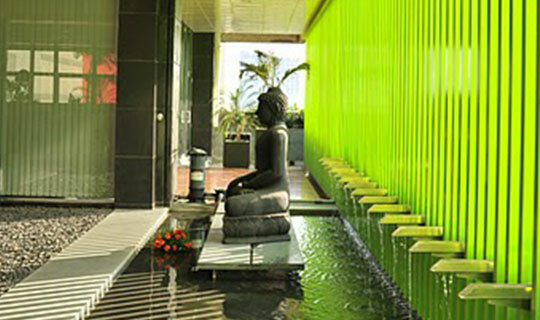 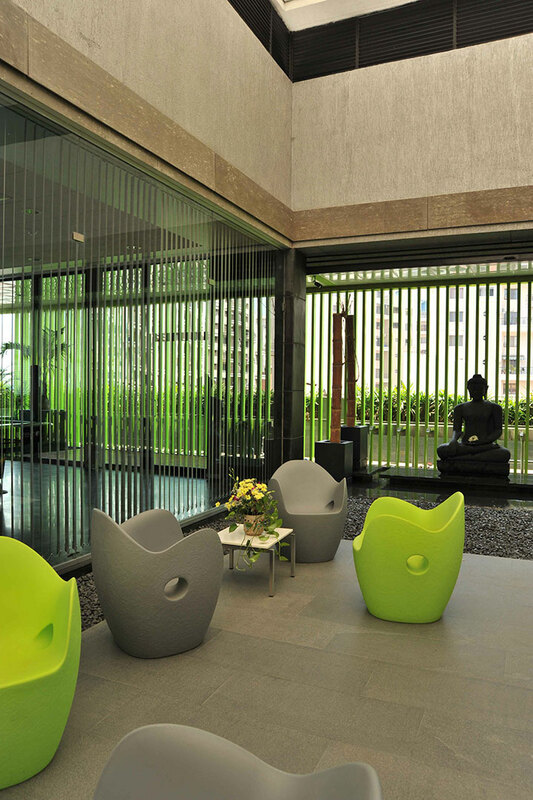 The built spaces are designed to flank a central atrium street, covered by a tensile roof; and culminating in a zen water body with a tranquil Buddha sculpture. Keeping with the client company’s organizational structure, on one side of the atrium street lie the reception desk, administrative offices, open plan workspaces, a meeting room, a library and service areas. 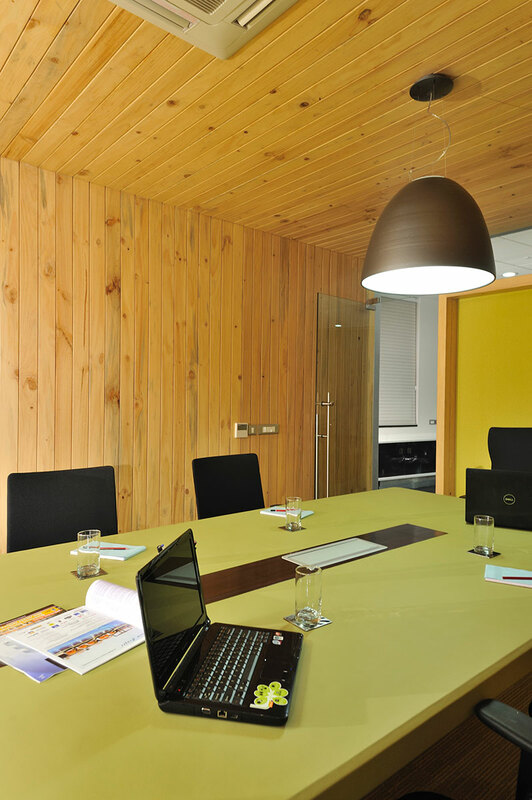 The other side houses the private cabins for the director and executive staff, along with meeting spaces, a conference room, a pantry and a breakout balcony. 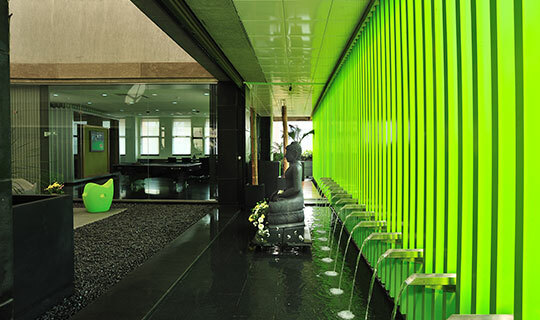 Defined by vibrant green accents, the office interiors resonate with the detail oriented, luxurious and quirky space concepts advocated by the occupants. 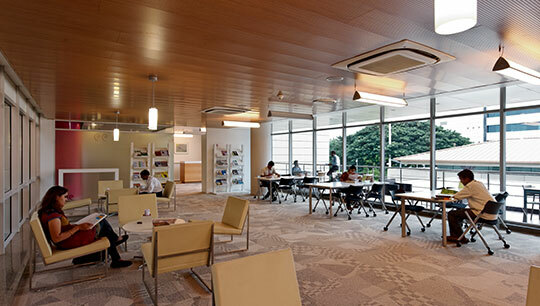 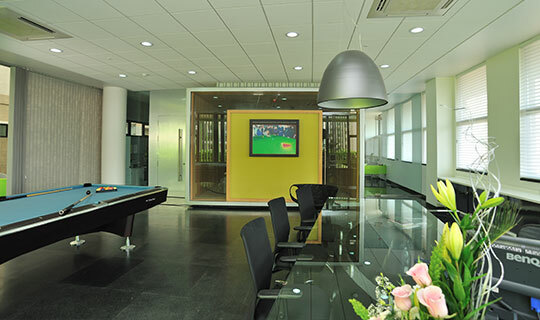 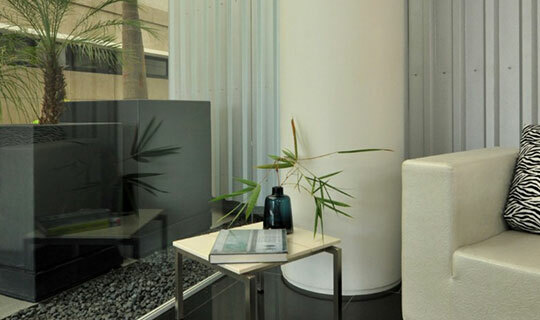 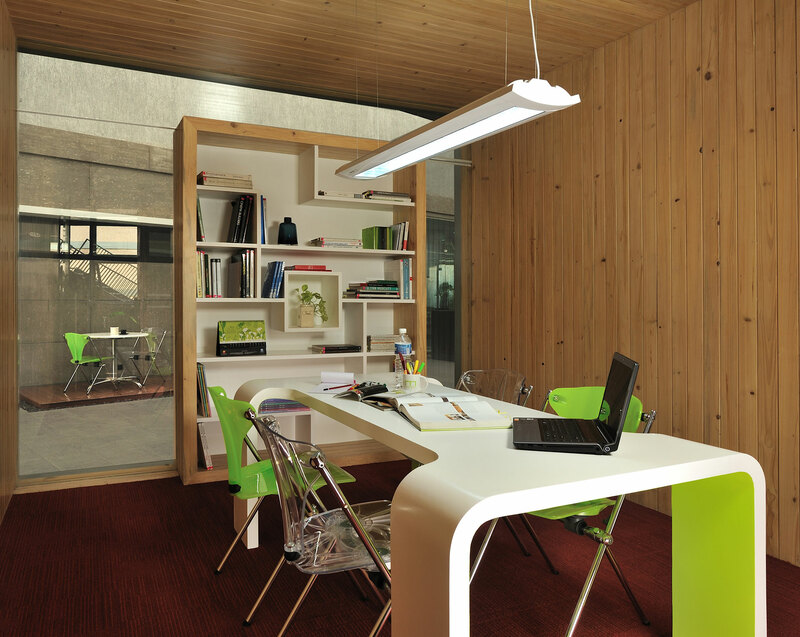 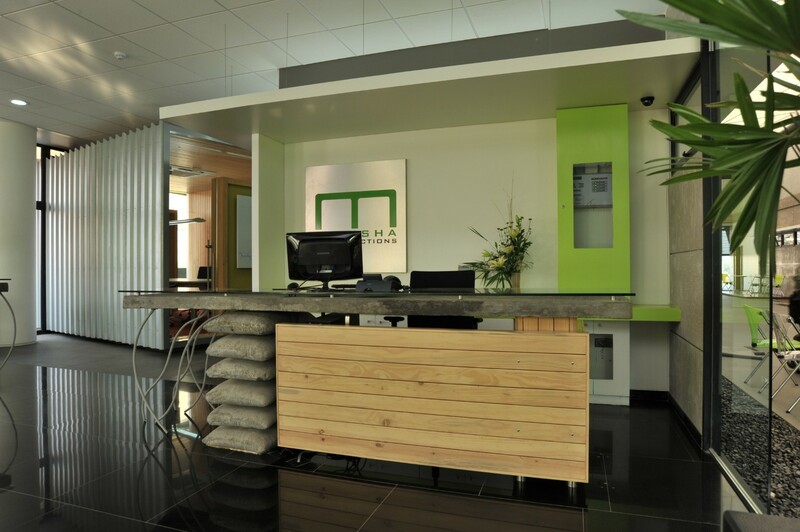 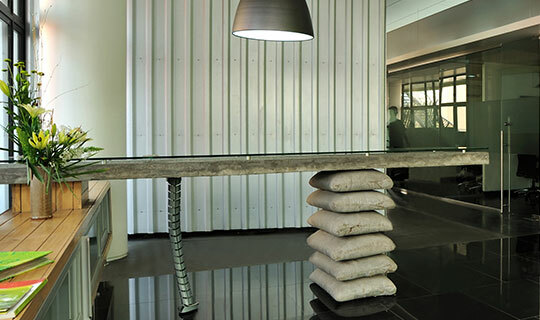 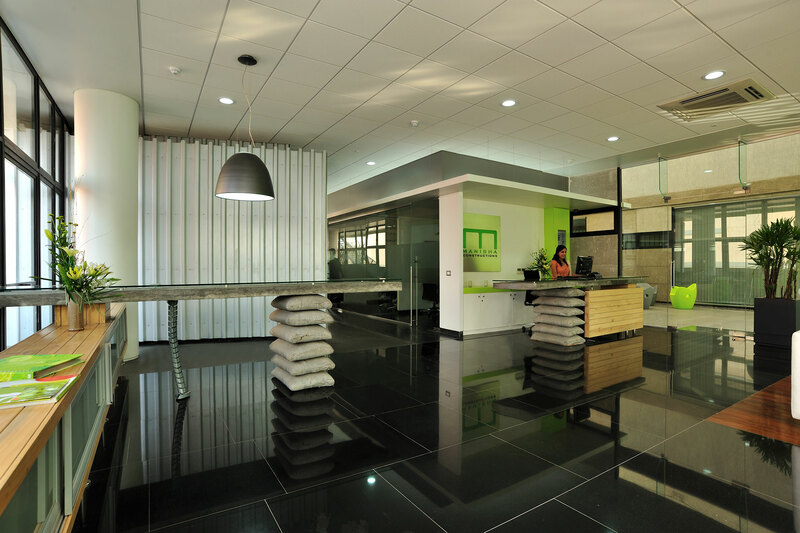 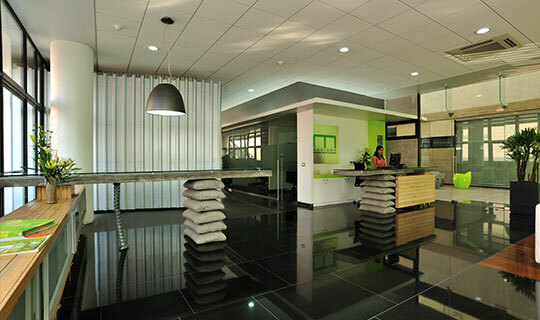 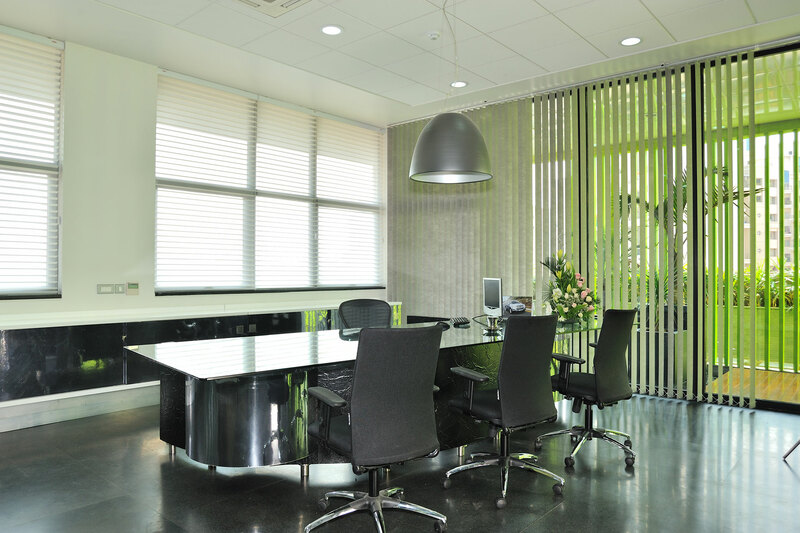 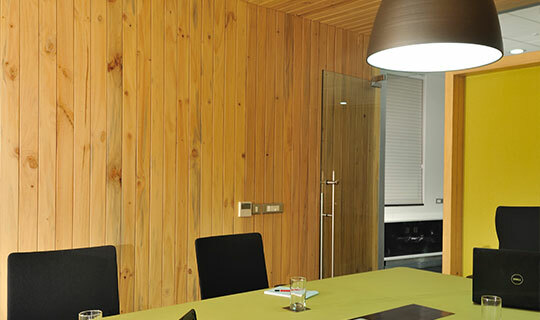 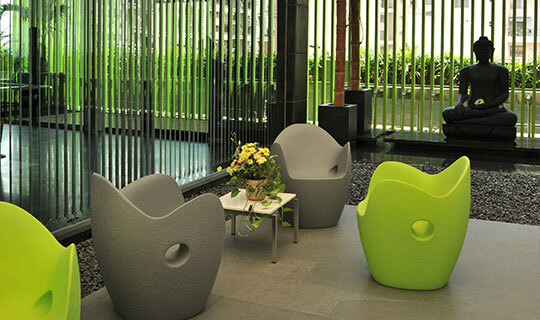 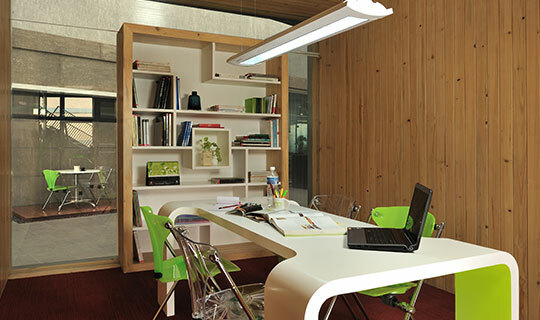 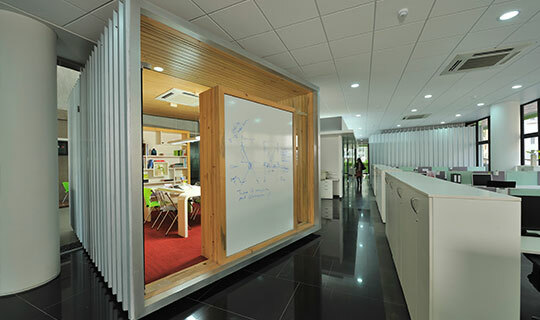 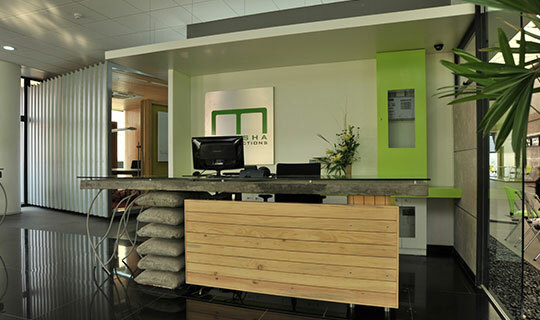 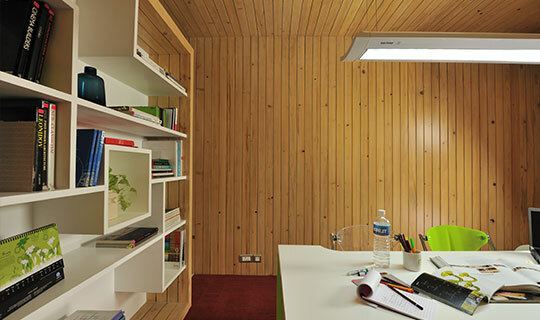 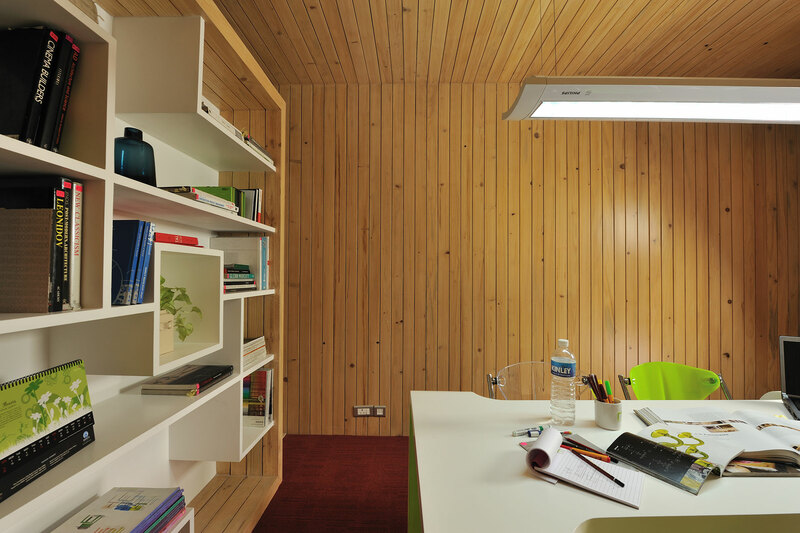 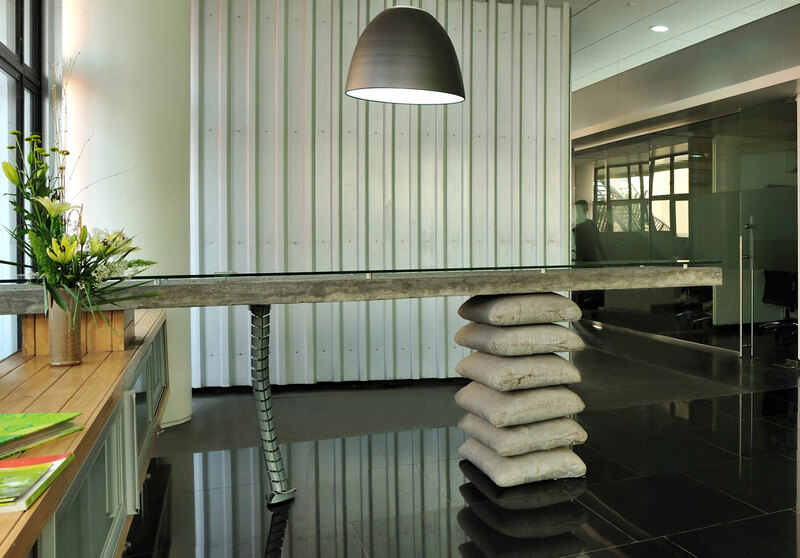 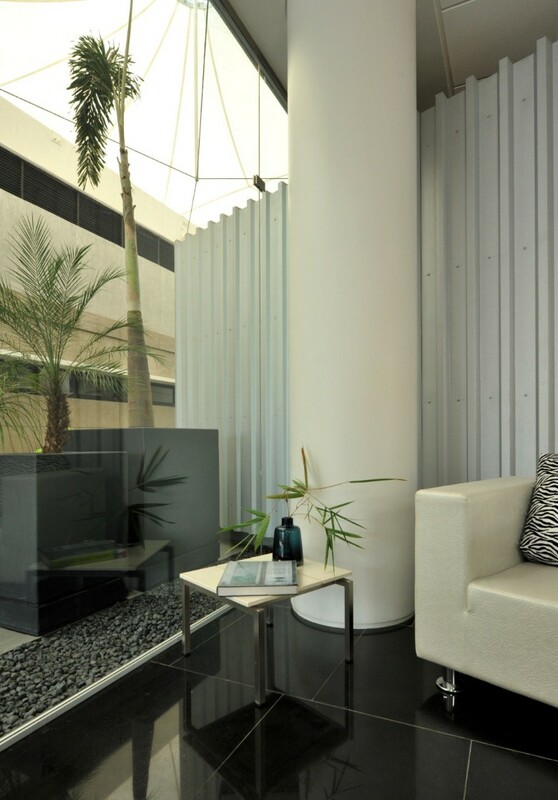 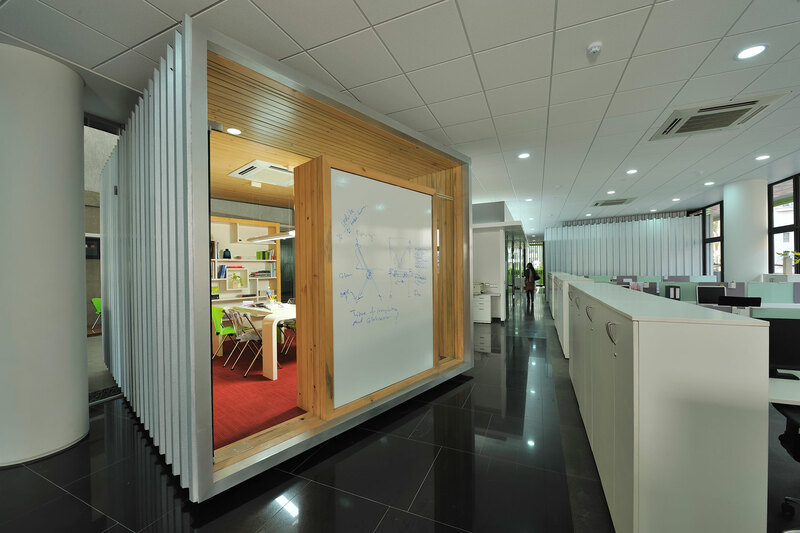 Bespoke furniture, such as the reception desk and informal discussion table, along with angular meeting enclosures, give the workspaces an offbeat playfulness, while custom designed utility furniture like wall storage units, efficient lighting, and workspace maximization justify the functional aspects. 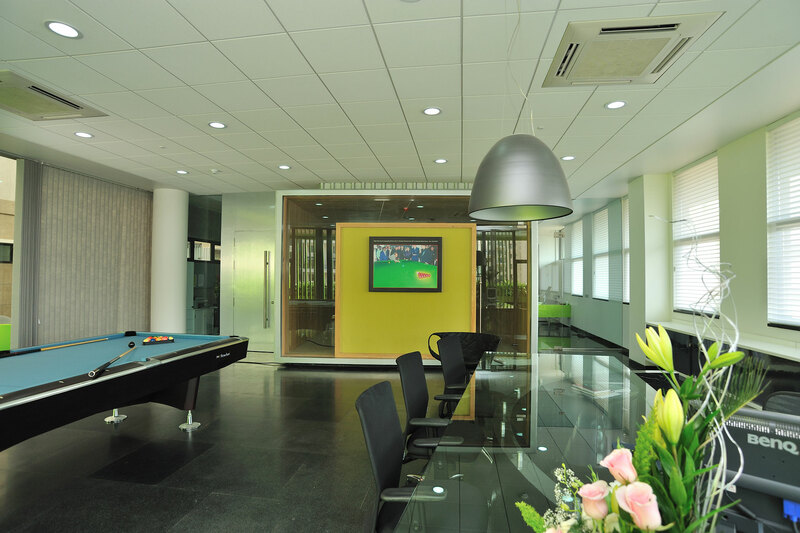 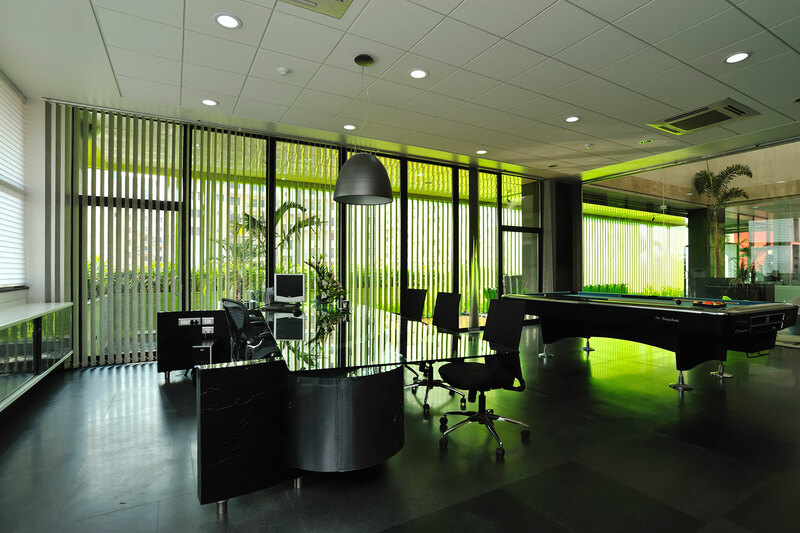 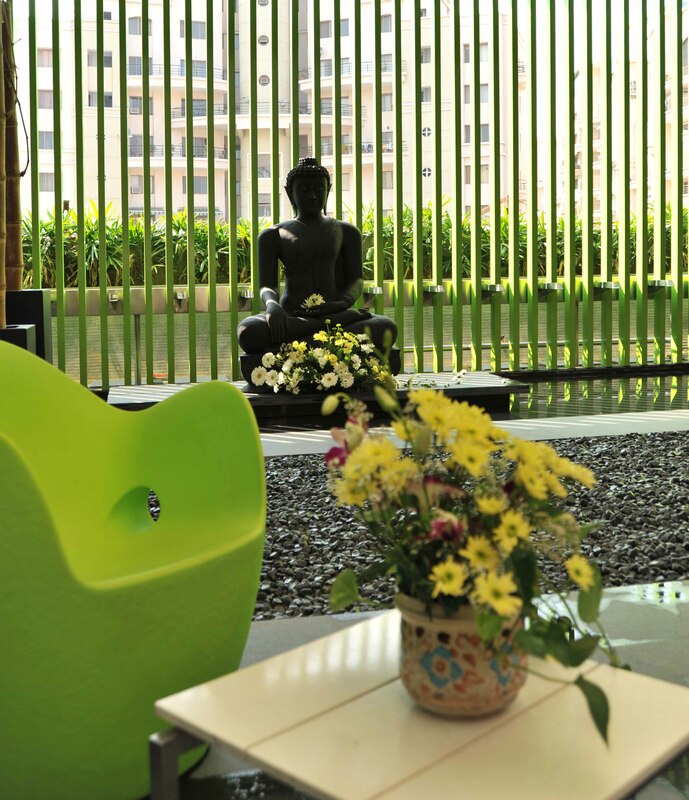 Breakout zones, in the form of balconies, atrium landscaping, Zen garden and indoor snooker table, provide the employees with much needed recreational space. 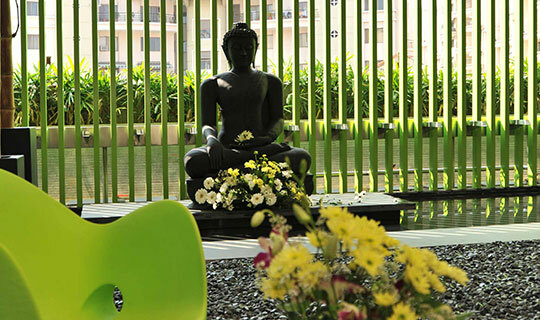 Despite being perched 5 floors above ground level, and surrounded by a dense matrix of commercial and retail establishments, the natural elements of daylight, water and greenery give the space a serene openness, as if one were working in a garden.